Geoffrey Miller Solicitors are specialist Careless Driving and Driving Without Due Care And Attention Solicitors. Call our team of expert motoring solicitors for free initial advice. The definitions above are open to interpretation. 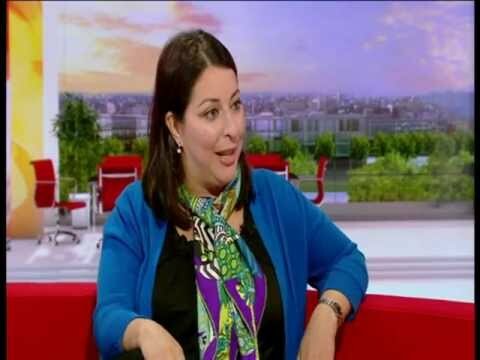 As explained by Jeanette Miller in this BBC Breakfast interview from June 2012, under present law, a minor breach of the Highway Code could be perceived by a court to amount to the offence of careless driving or driving without due care. There is no set list of what driving errors or manoeuvres would land you in the dock with a prosecution for a driving without due care offence. Eating or drinking whilst driving. On 16 August 2013 the police were granted extended powers to issue fixed penalty offers for the offence of careless driving. This caused a bit of a stir at the time but in June 2015 the press were all over a case claimed to have been the first conviction for “middle lane hogging” since the new police powers in relation to Careless driving fixed penalties were introduced. Having specialised in the field of motoring law since 2000 we can assure you that “middle lane hogging” has featured as an allegation in a number of careless driving prosecutions we have seen over this period. You do not have to accept an offer of a fixed penalty and if you disagree with the driving without due care allegation, you are free to challenge the matter through the courts. Most careless driving cases that we defend will involve our meticulous case preparation. The Magistrates who hear your case will look at all the facts in the case to determine whether or not your driving falls in the two categories above. Whilst most motoring offences involve numerous technical issues, the strategy involved in defending a careless driving prosecution will most likely involve gathering witness evidence and possibly having an accident reconstruction report prepared to assist in disputing allegations made by the police or witnesses. Our specialist team of lawyers will review the strength of the prosecution’s case against you before advising you of the merits of your case. We find that whilst the police may have gathered numerous witness statements to support the allegation against you, when scrutinised, the evidence may well contain inconsistencies and leave the Crown’s case wide open to attack. For example, we were involved in successfully defending a driver who was accused of careless driving after being involved in a serious motorway pile up. There were 6 witness statements relied upon by the Crown but when we examined them closely, we were able to establish that not one of the witnesses had actually seen the collision but they all made claims of hearing the collision. The prosecution evidence was made up of assumptions and inadmissible hearsay evidence. When we pointed this out to the Crown Prosecution Service, the case was dropped before it even got underway at trial. The penalties for careless driving range from a relatively minor 3 penalty points but can be as much as 9 points or even a disqualification so if you are contemplating pleading guilty to the offence of careless driving it is important to have a specialist representative to ensure that the Court imposes the lowest penalty possible especially if you are at risk of disqualification. Take a look at the Penalty PDF for more detailed information about the level of penalty you may face. Not Sure What to Do About Your Careless Driving Offence?